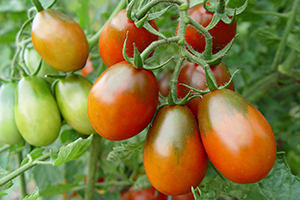 We offer over 25 varieties of Cherry Tomatoes, as Tomato Plants and Tomato Seed. Cherry tomatoes might be small, but they are wonderfully flavored and produce abundantly. 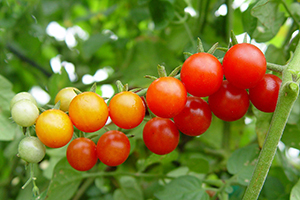 We offer two types of Cherry Tomato Plants. Round Cherries and Oval Cherries, also known as Grape Tomatoes. Here are our cherry tomato plants.